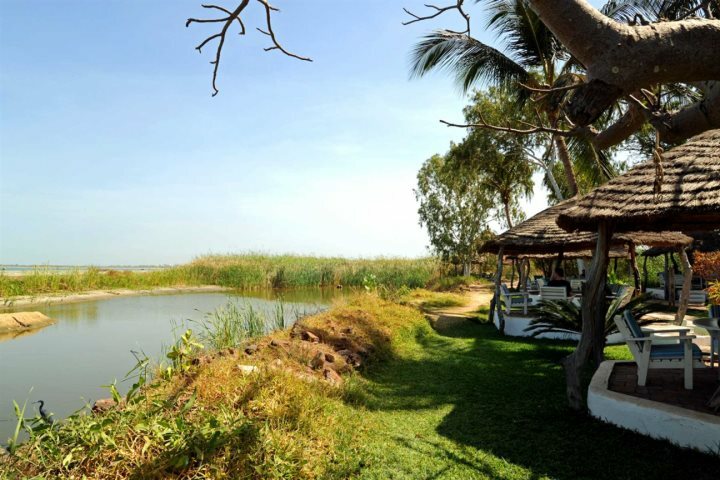 Perfect for a romantic aperitif, a light lunch or an evening dining beneath the stars, Calypso is a hidden gem that is easy to miss in The Gambia. 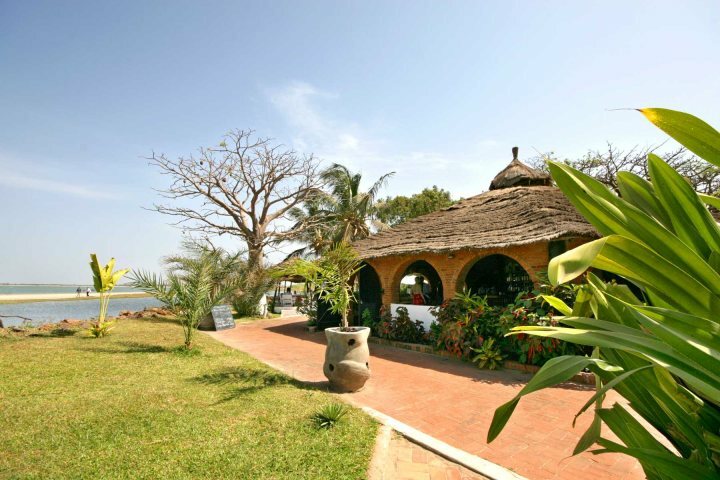 Located on the eastern end of Cape Point's beach and reached by a path down the side of Ocean Bay Hotel, Calypso is one of my favourite places to eat and relax in The Gambia. While there is indoor seating, most prefer to sit outside by the creek under the shade of thatched cabanas or up amongst the trees on a raised terrace. 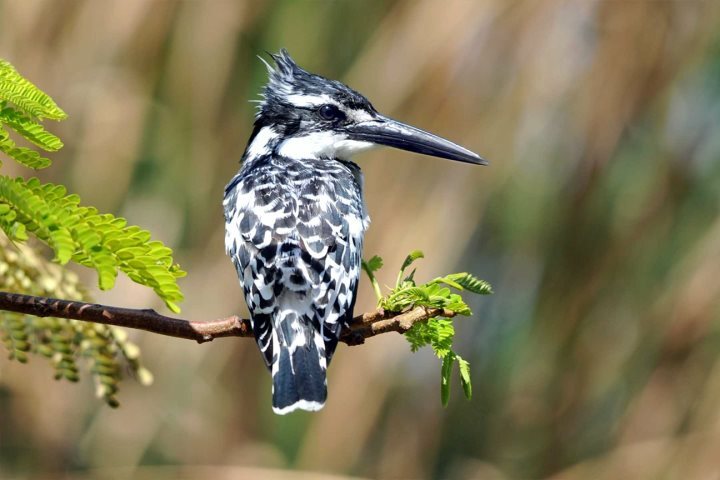 The cabanas offer a ring-side seat as crocodiles come out on to the sandbanks to bask in the sunshine and kingfishers dart in and out of the water. While sitting on the raised terrace will give you a bird's eye view of the monkeys and many feathered visitors. 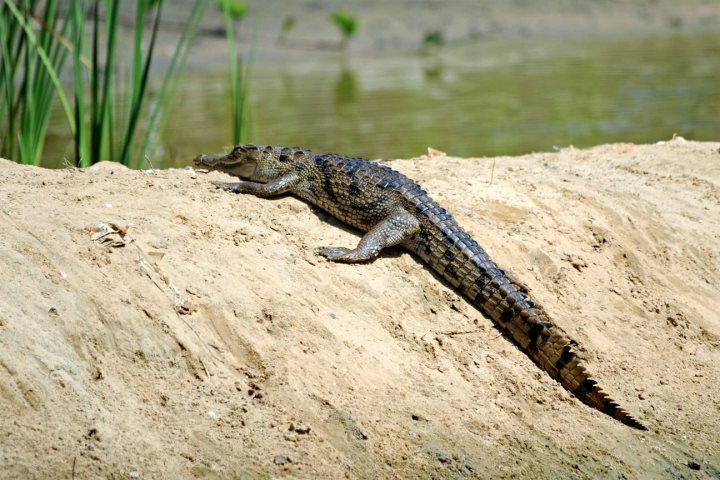 It has to be one of the most comfortable, laid-back ways to enjoy Gambian wildlife. And it is the perfect place to relax and unwind - you feel as if you are a million miles away from anywhere yet you are just a short stroll from the hotels, shops and restaurants of Cape Point. 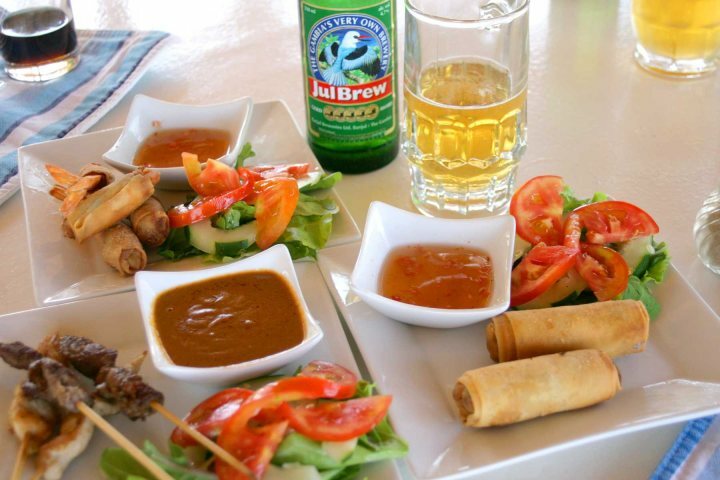 Offering a good range of international cuisine, when I've visited Calypso I've enjoyed sharing a mixture of light bites with friends such as Chinese spring rolls, Indian chicken satay and king prawns in filo pastry with a sweet chili dipping sauce. I've also had a very good burger here. Their steaks and salads are reputedly very good too. I've always found the food excellent as is the service. While Calypso Beach Bar and Restaurant may be a little more expensive than some of the local restaurants, the prices are quite reasonable, especially compared to what you might pay in the UK. Personally I think it is great value. And what could beat this fabulous location? !